You could sound the alarm that machines are going to put humans out of work. You could point to America’s declining car culture and cite driverless cars as another sign of demise. You could balk at the idea that an autonomous car on every road is even feasible. But the most fun article to write, by far, is one that speculates about how grand it might be if Google (or somebody else) succeeds in its vision for the future. Good news! That’s the kind of article you clicked into. An indisputable fact: humans behind the wheel are dangerous. Even if you shove aside and ignore the grim statistics that say driving is insanely dangerous, it’s an obvious truth that can be seen every time you go for a cruise. Vehicles weigh a couple of tons and are driven at high speeds by human beings who are susceptible to human being things. We drive when we’re emotional. We drive distracted. We drive impaired. We drive when we’re overtired. And we make small mental errors hundreds of times per day that, when wielding a car, can be tragic. It’s hard to pragmatically argue against an idea that removes the wheel from our hands. So one enormous, glaring positive: autonomous cars could make driving safer. But this article’s not about that either. This is about the unheralded potential of the driverless car. This is about the Death of the Commute. Nothing wears someone down quite like the loathsome institution of taking planes, trains, and automobiles to and from work each day. In New York, it’s not far-fetched to imagine waking up in your Brooklyn flat, climbing groggily onto your bike for an 8-mile trek through the elements to your office building. In Atlanta, it’s easy to imagine listening to TLC’s CrazySexyCool on repeat as you idle in traffic for 3 hours. You get the point. Commuting can be beastly and it’s the specter that forces you to wake up hours early to get to work and cuts into your R&R time in the evening. Driverless cars could make the commute a thing of the past. Sure, you’ll still have to get into a car to and from work. But, instead of focusing on driving, you can focus on work. Working while traveling would allow you to start the day from the car. You could answer e-mail, take a call, or (depending on the specifics of your job) start knocking out your To-Do list. Your autonomous car is effectively a mobile office. Mobile tech has forever changed the boundaries of the workday. You’re reachable all of the time. That trend is going to continue. So is the way in which we view work-life balance. Instead of dropping everything at 5 p.m. sharp and showing up again at 9 a.m. on the dot, the modern workday is soon going to be more results-based than ever. 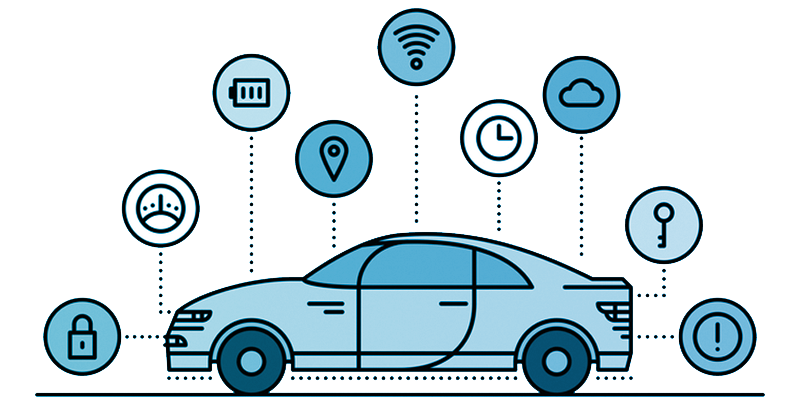 Autonomous cars can play a significant role in eliminating a huge productivity obstacle (commutes) and turning it into another opportunity to accomplish what you need to. A driverless car can offer a future where you can fire up the Keurig, flip open your laptop, and seize the day – all while being chauffeured safely to the office. Smell that coffee. Clear that inbox. Imagine the potential. It’s more fun that way.